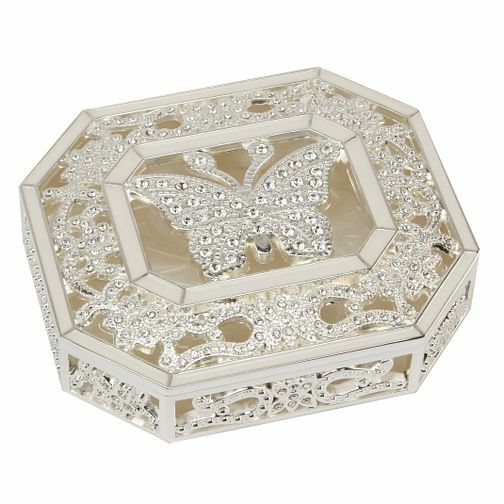 Special Memories ornate trinket box with butterfly design. Perfect for earrings or rings. Special Memories Butterfly Trinket Box is rated 4.8 out of 5 by 5. Rated 4 out of 5 by Anonymous from A lovely little gift I bought this for my mum for Christmas and we were both pleased with it.